ASRock announces that M8 has won a COMPUTEX d&i Award 2014. As M8 has been honored with an iF Product Design Award 2014 in January, this is another magnificent achievement accomplished by the renowned gaming barebone on the international stage! COMPUTEX Taipei is the largest ICT exhibition in Asia. It attracts over 130,000 visitors every year. In order to honor the most innovative product of the year, the d&i Award of COMPUTEX is designed by TAITRA, the organizers of COMPUTEX. “This award is not only a tremendous glory, but also a huge acknowledgement to our innovation and craftsmanship.” said James Lee, VP of ASRock Sales and Marketing. ASRock M8 features an aluminum exterior, while hidden magnets hold the whole case together. On the front, there’s a control knob and monitor hybrid called A-Command for users to setup their unique gaming rig. Inside the box lies a Z87 mini-ITX motherboard for advanced portability and space efficiency. The functionality of this gaming barebone lives up to its awesome appearance too. The case may contain any standard mini-ITX for future upgrades, and M8 is sold as a barebone system so that gamers have the freedom of choosing their own components, such as swappable DDR3 DIMMs, any standard PCIe x16 graphics cards, and also 6 SATA3 ports lined up for storage. HyperX launched the HyperX Cloud gaming headset in India. HyperX Cloud features extremely comfortable ear cushions and larger audio drivers to give gamers ultimate comfort and superior sound during long game play sessions. Kaspersky Lab recently revealed its vision of enterprise security at the company’s annual CyberSecurity Summit in San Francisco, U.S.A. The event focused on how enterprise IT security realities affected businesses worldwide and featured commentary and panel discussions from influential figures in IT security. At the event, Kaspersky Lab also announced several new security solutions that are now available, as well as planned solutions and business strategies that will guide the company’s growth throughout the year. A key theme discussed at the event included recent and significant changes to the IT security landscape: sophisticated attacks and complex cyber-espionage campaigns targeting corporations are “the new normal.” Another area of focus was how the IT industry also faces a rising tide of advanced threats specifically targeting financial service networks, a segment which requires specialized security solutions to meet their unique needs. To equip enterprises with protection from these advanced threats, Kaspersky Lab’s solution portfolio is built on a foundation of threat intelligence and an ability to build technologies in-house instead of through acquisition. These two core company principles produce measurable advantages in protection for our customers, and are central components of the technology innovations which were announced at the Kaspersky CyberSecurity Summit to address critical areas of enterprise IT. The company announced a new expansion of Kaspersky Security for Virtualization, which brings security technologies to virtual endpoints that were previously difficult to secure without sacrificing network performance. The recently-announced Kaspersky Fraud Prevention platform was also highlighted as a way to combat cyber-attacks against financial service providers. Both solutions are now available to the public. VMware, Inc. announced Sanjay Deshmukh will join the company as Head of End User Computing Business, Asia Pacific Japan.He will join VMware from Citrix Systems India, where he was Area Vice President, Indian Subcontinent for more than four years.The IT veteran will be responsible for VMware’s end-user computing (EUC) business throughout markets in the company’s Asia Pacific Japan (APJ) region. VMware’s EUC strategy was reinforced earlier this month when the company launched the industry’s most comprehensive desktop solution. VMware Horizon 6 enables customers to transform their applications and desktops for the mobile cloud era – extending access to employees on any device, anywhere, simply, securely and cost-effectively. In late February, VMware acquired AirWatch, a leader in enterprise mobile management and security solutions covering laptops, peripherals and wearables. Reporting to Sanjay Mirchandani, VMware’s Senior Vice President and General Manager for the APJ region, Deshmukh takes up his new post on May 12 and will be based in Singapore.Before joining Citrix, he served SAP India as Vice President, Business User and Platform Group, after working as Country Manager for Business Objects Software India. During his 21-year career, he has built successful businesses in the areas of mobility, virtualization and analytics. Deshmukh holds an MBA in Marketing from the Institute of Technology and Management, Mumbai. VMware APJ has undergone significant expansion and today serves some 63,000 customers. The company’s regional footprint includes a workforce of more than 4,000 and a network of 12,700 partners. Dell India reinforced its investment in retail expansion plans in the India market with the opening of its 200th Dell Exclusive Store in Mayur Vihar, New Delhi. The opening of the 200th Dell Exclusive Store is a testimony to the vigor with which the brand is approaching its retail strategy. Only two months ago, the company had launched its 150th Dell Exclusive Store (DES) in Chennai. Three months prior to this, the company had inaugurated its 100th DES. True to its word, Dell has rapidly grown to 200 stores in an admirably short time span. Strategically located on Mayur Vihar Phase 1, New Delhi, the store, as is characteristic of Dell Exclusive Stores around the country, offers the entire range of Dell’s consumer products – laptops, AIOs and desktops from the Inspiron, XPS and Alienware brands, as well as related peripherals. The exclusive Dell store is the company’s concerted efforts towards enhancing the overall purchase experience for consumers in India. Keeping in mind the importance attributed to the process of purchasing a laptop or a desktop, Dell’s endeavor is to provide customers with a rich and informative technology experience, and to make the environment conducive to an educated and informed purchase decision. The opening of the 200thstore will enhance Dell India’s retail presence and also places a renewed emphasis on the brand’s commitment to the Indian market, as it becomes increasingly accessible to a widening consumer base. The combination of an aggressive market strategy, attractive pricing, variety of products and rapid retail expansion, including in Tier 2 and Tier 3 markets, has resulted in a robust brand strategy. This strategy is fashioned such that it creates engagement, education and an experiential purchase for the customer. Foxconn has announced that Accel Frontline has been appointed as their warranty service partner for Motherboards in India. With the selection of this new service provider, Foxconn aims to offer greater convenience and timely service for end customers and dealers who require post sales support, thus enhancing the brand’s customer service offering. Accel will provide warranty support across India for Motherboards covering key cities like Ahmadabad, Bangalore, Chennai, Delhi, Hyderabad, Kolkata Cochin and Mumbai apart from the existing service centers, which will give Foxconn a wider reach across the country thus making it easier for customers to address any concerns. Aside from its large number of service centers, Accel Frontline will also make it easier for customers to receive and update their specific complaints or product replacements. A customer can now easily check on real time status of replacement product by calling VOIP no: 044-30724072, through SMS to “9941760006″, through Mobile Android app. SINGAPORE — April 23, 2014 — Violin Memory®, Inc., (NYSE:VMEM), a leading provider of all-flash storage arrays and appliances delivering application solutions for the enterprise, announced today general availability of the Windows Flash Array (WFA). Jointly developed with Microsoft® Corp., the WFA is the first all-flash high-performance storage array powered by Windows® Storage Server 2012 R2 to deliver a rich set of high performance storage features and data services for the enterprise. The unmatched speed and efficiency of the Windows Flash Array transforms the datacenter by dramatically reducing server overhead and application response times through improved storage performance, fundamentally altering the cost structure of enterprise applications. The Windows Flash Array enables enterprise and cloud workloads, such as SQL® Server, Microsoft SharePoint®, and Windows® Server with Hyper-V virtualized applications, to meet the needs of global enterprises, while satisfying IT operational demands for maximized agility, automation, and orchestration between network, storage and compute resources. The WFA is a tightly integrated combination of Windows Storage Server 2012 R2 and Violin’s award winning hardware and software into a single solution that delivers high performance all-flash array storage for enterprise and cloud customers. Customers benefit from the proven storage features of Windows Storage Server 2012 R2 embedded into the Windows All Flash Array, including thin provisioning, data deduplication, scalability, and encryption along with space efficient snapshots and continuous availability, through Windows failover clustering. Microsoft has significantly improved the efficiency and feature set of Windows Storage Server 2012 R2 but, most importantly, it provides a new way to connect external storage and make it perform like fast local storage. 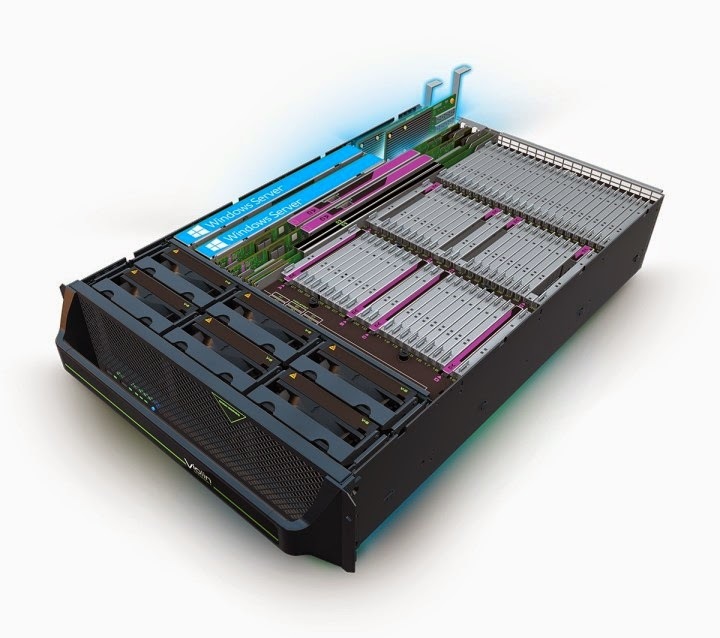 The Server Message Block (SMB) Direct protocol enabled by remote direct memory access (RDMA) makes possible a compelling enterprise-class storage alternative to traditional SANs. Testing by Microsoft reveals that SMB Direct can reduce CPU overhead by up to 30%, while delivering higher performance storage that is less expensive, and easier to administer through native Windows Server management tools. SQL Server is an enterprise-class database that enables customers to build mission-critical applications across OLTP, data warehousing, business intelligence and analytics workloads. These enterprise applications are essential workloads that benefit from the WFA. Customers beta testing the Windows Flash Array with 2012 SQL Server report that the WFA delivers up to 2X the write performance and up to 50% higher read performance, compared to an industry standard all-flash array connected via Fibre Channel. Windows Server with Hyper-V is one of the leading virtualization platforms helping customers achieve a higher utilization and ROI from their server assets. The high level of random I/O requests from virtualized workloads make the WFA a natural fit. In Hyper-V environments, WFA achieved up to 40% higher write performance in customer beta tests. Increased storage performance means enterprises can increase host server virtual machine density, bolstering their virtualization ROI and reducing CAPEX. The net effect for customers is a significant reduction in compute and storage expense, while meeting the most demanding application SLAs with orders of magnitude improvement in response times. WFA is the first end-to-end continuously available, high performance All-Flash Windows Storage Server Array for the enterprise market. "The Violin Windows Flash Array fits cohesively with our customers' requirements for high performance, easy to manage all-flash storage. The seamless integration into Windows IT environments will reduce time to production and ease service and support expenses." Microsoft has certified the WFA as a supported system for Windows Server 2012 R2 and is available directly from Violin Memory and its global community of channel partners with shipments beginning April 22. Please contact Violin, for additional information. Check out our portfolio of memory-based solutions. This public announcement contains forward-looking statements within the meaning of the Private Securities Litigation Reform Act of 1995, including statements with respect to the performance of Windows Flash Array, the business, financial and other results that may be achieved by the use of Windows Flash Array, and statements relating to Violin Memory’s business plans and strategy. There are a significant number of factors that could cause actual results to differ materially from statements made in this public announcement, including: Violin Memory's limited operating history, particularly as a new public company, the competition faced by Violin Memory in the marketplace; Violin Memory’s history of large purchases by a limited number of customers; risks associated with a transition in executive leadership; its relationship with Toshiba as its sole supplier of flash-based memory; risks associated with the development, production and support of Violin Memory’s products; and numerous other market, political, economic and business conditions. Additional risks and uncertainties that could affect Violin Memory's business performance and financial results are included under the captions "Risk Factors" and "Management's Discussion and Analysis of Financial Condition and Results of Operations," in Violin Memory's annual report on Form 10-K, which was filed with the U.S. Securities and Exchange Commission, and which is available on the Violin Memory's investor relations website at investor.violin-memory.com and on the SEC's website at www.sec.gov. All forward-looking statements in this public announcement are based on information available to Violin Memory as of the date hereof, and Violin Memory does not assume any obligation to update the forward-looking statements provided to reflect events that occur or circumstances that exist after the date on which they were made. All Violin Memory news releases (financial, acquisitions, manufacturing, products, technology, etc.) are issued exclusively by Business Wire and are immediately thereafter posted on the company’s external website, www.violin-memory.com. Violin, Violin Memory and the Violin Memory logo are trademarks of Violin Memory, Inc. in the U.S. and other countries. All other brand or product names used in this public announcement may be trademarks or registered trademarks of their respective owners. ASUS Republic of Gamers has announced Striker GTX 760 Platinum, a brand-new gaming graphics card powered by the NVIDIA GeForce GTX 760 graphics-processing unit (GPU), a beefy 4GB of high-speed GDDR5 memory and engineered with exclusive cooling and power-stabilizing technologies. The GTX 760 GPU is greatly desired by many gamers for being the performance sweet-spot, while Striker GTX 760 Platinum’s DirectCU II cooling, CoolTech fan, DIGI+ voltage-regulator module (VRM) and Super Alloy Power components ensure cooler, faster, quieter gaming that also provides great overclocking potential announced the press release. Sporting ROG’s signature red-and-black livery and the color-coded ROG LED load indicator, Striker GTX 760 Platinum delivers superb out-of-the-box gaming experiences in style and brilliant innovations to accelerate gamers ahead of the pack. ROG Striker GTX 760 Platinum benefits from hand-chosen GPU cores, so the card delivers performance that’s way beyond reference designs. Its base speed is 1085MHz and when boosted the clock is turned up all the way to 1150MHz — that’s a remarkable 105MHz and 117MHz faster than reference. This means a raw performance boost of up to 10% and, with 4GB of high-speed GDDR5 memory on board, Striker GTX 760 Platinum delivers super-smooth gaming experiences and resolutions of up to 2560 X 1600 pixels. 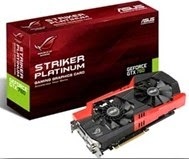 ASUS STRIKER-GTX760-P-4GD5 is priced at Rs. 27,500 (excluding taxes). 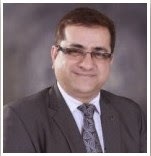 Zebronics announced that Vikram Kalia joined Zebronics as Vice President of the company. He will be heading the business development team at the company head quarter in Chennai.Kalia hold a experience of over two decades in this industry. His area of expertise includes product development, team building, strategic marketing plans and channel sales. At the moment he would be taking care of speaker division of the company and further down the line developing new product range for the company. “We are thrilled to have him on board” said Rajesh Doshi, Director Purchase and marketing, Zebronics. “He has joined the company at very critical junction of time, we have very ambitious plan this financial year for business development and expansion, Mr. Kalia bring his incredible experience to the company.” Doshi added. On commenting on his joining Kalia said, “Any organization’s growth is always a result of good teamwork and Vision. What we will be looking forward is to divide our business objectives in short term and long term goals and thus making a workable strategy for us keeping a horizon of 2 yrs and 5 yrs. Overall business hygiene needs to improve and strategies to be aligned with future that IT industry holds”. “On the Business development front there will be overall revamp with bringing more cities under effective coverage and strengthening our base in other regions. New product verticals will be added and the ones with the potential will be optimized.”, he added. Google Inc will allow marketers to run online ads that send consumers to a page directly inside a mobile app, furthering the Internet company’s effort to extend its multibillion-dollar advertising business to smartphones. The new advertising feature helps Google bridge the gap between the traditional public Web pages that have long underpinned its search business and the increasing number of standalone, mobile apps popular with consumers. Mobile apps, which are dedicated to everything from restaurant reviews to online games, have typically been walled off and difficult for Google to integrate into its search engine results. Last year Google began to offer so-called “deep linking” capabilities with a limited number of participating mobile apps. A smartphone user searching for Thai restaurants in San Francisco, for example, might see a link that opens up a page inside the OpenTable restaurant reservation app. With Tuesday’s move, marketers will be able to provide the same direct pathway into their apps from the search ads and display ads that they run on Google websites. That will help companies boost the amount of time that consumers spend using their mobile apps, Google said. The new feature, which Google said will be available in the next few months, will initially appear only on smartphones that run on Google’s Android software. Google, the world’s No. 1 Internet search engine, generates the vast majority of its revenue from advertising. But its ad rates, like those of other Internet companies, have been under pressure as more consumers access its online services on small-screened mobile devices, where advertising rates are lower than on PCs. EDIMAX Technology expanded its surveillance range with the launch of redesigned and restyled IC-3116W H.264 Wireless 720p Day & Night True Color Network Camera. This camera is a perfect fit for home and small business. With a classic smooth white finish and grey trim, the IC-3116W blends perfectly into home or small business environments and packs an impressive array of high-performance surveillance technology inside a compact, lightweight housing. Built-in infrared LEDs with automatic ICR (IR Cut Filter Removal) provide night vision capabilities for round-the-clock surveillance, and a premium motion detection system. For discreet, reliable and high-quality day-time, night-time or low-light surveillance, Edimax IP surveillance solutions support families and small businesses – providing innovative technology as a practical, affordable and usable asset. Edimax’s unique Plug-n-View technology makes camera setup quick and simple, automatically connecting user’s camera to the cloud. The free EdiView app for iPhone & Android allows remote viewing from a smartphone anywhere at any time, making it easy to check up on user’s home, business, pets or children. NETGEAR®, Inc. (NASDAQGM: NTGR) (www.netgear.com), a global networking company that delivers innovative products to consumers, businesses and service providers, has unveiled the launch of NETGEAR N300 Wi-Fi Router with External Antennas (WNR614), which allows the speed for faster downloads and internet gaming. With the support of external antennas it improves the Wi-Fi coverage and provides the Wi-Fi range to medium-sized homes. The NETGEAR N300 Wi-Fi Router with External Antennas (WNR614) offers the speed required for faster downloads and Internet gaming. This router delivers high-performance wireless speeds of up to 300 Mbps and is the ideal router for medium-sized homes. It delivers the speed and reliability needed for applications such as HD streaming, online gaming and a secure and reliable connection to the Internet. The WNR614 includes advanced features such as external antennas for improved Wi-Fi coverage and Push ’N’ Connect for an easy push button Wi-Fi connection. “NETGEAR has always endeavoured to provide SMART IT solutions to its customers. By offering, NETGEAR N300 Wi-Fi Router with extended Antennas (WNR614) in the market definitely raises the bar in providing one of its kinds Wi-Fi Routers. With its fastest speed for downloads and internet gaming, makes it more tech-savvy.” said Subhodeep Bhattacharya, Regional Director, India & SAARC. Reliable Connections: Enjoy better connectivity throughout your home. The advanced QoS technology optimized for smooth HD streaming & gaming. Applications: Create a better home network for applications such as online gaming, a fast reliable connection to the Internet and a secure wireless connection. Onlyssd, the exclusive high end SSD Portal, backed up by national distributor Prime ABGB, announces the launch of the Plextor M6e, the first SSD specifically designed to meet the demanding requirements of the gaming community. The Plextor M6e PCIe SSD uses a new generation of high-bandwidth components to deliver smooth, uninterrupted gameplay and excels the player to get to the next level. It combines the convenience of driver-free ACHI support with the compatibility of selectable legacy BIOS or fast UEFI boot. The Plextor M6e’s exclusive firmware, developed by Plextor’s in-house elite team optimizes the drive for gaming applications and ensures stability. Plextor’s legendary True Speed technology is also one of the features which provide a new improved version for long-term performance stability and effective multi-tasking. With convenient Advanced Host Controller Interface (ACHI) support, Plextor M6e owners get to experience the speed of a high-performance PCIe SSD without the need to load propriety drivers. Compatibility with legacy BIOSes allows the Plextor M6e to be used with existing gaming rigs for flexibility. Alternatively selecting the UEFI boot mode for motherboards with UEFI provides incredibly fast start-up times. Along with performance and stability, the Plextor M6e SSD meets another key need of professional gamers, extreme reliability. In the world’s most advanced SSD testing facilities the drive was put through rigorous testing and was required to meet Plextor’s Zero-Failure Zero-Error mass testing standard, the result is a MTBF calculated at 2.4 million hours. For stability, every individual SSD faces an extended high-temperature burn-in test and usage simulation. Plextor’s strict testing and tough quality control is the reassurance of the Plextor M6e’s full five-year warranty and Plextor’s extensive support structure. McAfee which is part of Intel Security, today outlined its strategy for helping businesses and government agencies strengthen their network protection through a powerful combination of integrated technologies. As part of its strategy, McAfee is strengthening its network portfolio with deeper integration and expanded use of both global and local threat intelligence. To address this, challenge, McAfee is delivering a framework that brings network and endpoint together through centralized management and that integrates with both global and local threat intelligence to deliver visibility across all threat vectors. McAfee offers network security as part of an integrated portfolio in which security products and services work together to safeguard businesses from advanced attacks. At the core of McAfee Security Connected are the principles of integrated solutions, built-in intelligence, and advanced management offered with an extensible architecture for partners. These solutions integrate with endpoint security to share real-time information, threat intelligence, and workflows to strengthen an organization’s defenses. A recent McAfee report outlined the role of advanced evasion techniques in Advanced Persistent Threats and the high cost to organizations worldwide to deal with the clean-up and impact of these techniques. McAfee Next Generation Firewall is the most recent solution to be enhanced and added to the growing list of Security Connected solutions. With the support of McAfee Global Threat Intelligence, the McAfee Next Generation Firewall has access to the latest network threats, cutting down threat identification time and minimizing the impact to network performance. The ability to quickly spot and pre-empt advanced threats is now a business differentiator as companies seek to protect their intellectual property and assure customers that their data is safe and secure. Building on McAfee’s leadership experience across network, endpoint and data security, McAfee Threat Intelligence Exchange allows organizations to orchestrate security controls to identify patterns, immunize assets against newly-identified malware, and prevent data exfiltration in real-time – optimizing security for each organization. Kingston, the independent world leader in memory products, today, announced the addition of 240GB and 480GB capacities to the existing SSDNow mS200 mSATA SSD line. Kingston’s SSDNow mS200 mSATA solid-state drive allows system builders and enthusiasts a cost-effective performance boost with quicker boot time and application loads while requiring less power than HDDs. The mS200’s small-form factor is perfect for notebook, tablet and Ultrabook™ PCs, as well as a variety of embedded systems. It can also be used as a caching device with motherboards that support Intel® Smart Response Technology (SRT) to improve system performance. mS200 has read speeds up to 550MB/s and write speeds up to 520MB/s. The 30GB, 60GB, 120GB, 240GB and 480GB mS200 mSATA SSDs have a caseless, PCB-only design with no moving parts and are backed by a two- or three-year warranty, free technical support and legendary Kingston® reliability. Micromax, expanding its Canvas Doodle phablet line-up in India, has launched the Canvas Doodle 3 at Rs. 8,500. The domestic handset maker has announced that the Canvas Doodle 3 will be available starting Friday. The company also says the Canvas Doodle 3 will come preloaded with a BigFlix subscription that offers 6 months of unlimited movies. The Canvas Doodle 3 features a 6-inch display, the highlight of the device at this price, offering a FWVGA (480×854 pixels) resolution. It runs Android 4.2.2 Jelly Bean out-of-the-box. A dual-SIM (GSM+GSM) phablet, the Canvas Doodle 3 is powered by a 1.3GHz dual-core MediaTek (MT6572) processor alongside 512MB of RAM. It sports a 5-megapixel autofocus rear camera and also houses a 0.3-megapixel front-facing camera. There is 4GB of built-in storage on the Canvas Doodle 3, which is further expandable up to 32GB with the help of a microSD card. The Canvas Doodle 3 offers 3G support apart from Wi-Fi, Bluetooth, EDGE/ GPRS, GPS/ A-GPS and Micro-USB connectivity options. Micromax’s Canvas Doodle 3 features a 2500mAh battery that is rated to deliver up to 9 hours of talk time and 260 hours of standby time. Other preloaded apps on the Canvas Doodle 3 include M! Live, M! Doodle, BigFlix, Get It, Games (marbles, Rope Cut, Jelly jumper), Kingsoft Office and Opera Mini. Notably, the Micromax Canvas Doodle 3 has now been listed on the company’s site as well, and is the successor to the Canvas Doodle 2 launched in August last year. Red Hat, Inc. announced significant momentum for its OpenStack-powered product offerings focused on delivering an open hybrid cloud. Since their introduction in June 2013, Red Hat’s enterprise OpenStack offerings have emerged as industry-leading solutions for building scalable private clouds with streamlined management. Several dozen organizations have embarked on proof-of-concept deployments for Red Hat’s OpenStack offerings, with customers around the world now moving to enterprise deployments. Red Hat Enterprise Linux OpenStack Platform, currently available in version 4.0, delivers an integrated and optimized foundation for building OpenStack clouds, bringing together trusted Red Hat Enterprise Linux and Red Hat’s OpenStack technology. With Red Hat Enterprise Linux OpenStack Platform, organizations can take advantage of the fast pace of innovation of the OpenStack project while maintaining a stable platform for production deployment. Red Hat Cloud Infrastructure helps organizations build and manage a private IaaS cloud based on datacenter virtualization and management technologies for traditional workloads, while providing an on-ramp to a highly scalable, public-cloud-like infrastructure based on OpenStack. Currently inversion 4.0 Red Hat Cloud Infrastructure is a single-subscription offering that integrates Red Hat Enterprise Virtualization; Red Hat CloudForms, Red Hat’s open hybrid cloud management solution; and Red Hat Enterprise Linux OpenStack Platform, enabling customers to build an integrated, open private cloud – the first step toward building an open hybrid cloud. Red Hat Cloud Infrastructure has been deployed by global enterprise customers. ViewSonic Corp. has launched an advanced series of Flicker-Free display technology which guards eyesight of all types by eliminating screen flickering and by preventing the occurrence of CVS (Computer Vision Syndrome).People tend to stare at the computer screen for the longer period of time when they are at workplace or at home. Starting from the regular net surfing, emailing, movies, games to the use of social networking sites like Facebook or twitter, everything requires the constant monitoring of screen which makes the surface of the eyes drier and leads to elevated intraocular pressure from constant eye adjustments, eye fatigue, eyelid twitching, headaches and other eye-related problems. ViewSonic VX52 Flicker-Free gaming monitor series, including 24-inch VX2452mh and 22-inch VX2252mh, brings on table, a more relaxed and comfortable view to all its users. Users will now be able to do work, play games, or watch movies on the computer for longer periods of time without needing to worry about eye-fatigue. Its products guarantees complete eradication of flickering at all brightness levels and offer a constant LED light source. Also, DC-modulation backlight incorporates ViewSonic Flicker-Free Technology to offer true Flicker-Free viewing comfort. It not only provides the better appearance of flicker-free, but this technology also maintains a constant stream of direct current power to keep the light on at both high-and low brightness – something other displays can’t match. VX52 series of displays also feature Full HD 1920×1080 resolution for unbelievable pixel-by-pixel image performance. ADATA Technology announced the launch of the Premier Pro series SP920 solid state drive (SSD) in India. Designed to meet the high-performance requirements of multimedia file transfers, the SP920 comes in a 2.5” form factor, and is equipped with the latest generation Marvell controller implementing the SATA III 6Gb/sec specification. SSDs continues to become mainstream storage selections for a cross-section of user types, largely due to the higher demands placed on primary system disks by operating systems, games, and high definition media. The SP920 is designed for high performance across a wide range of demanding applications, but it is especially fast in the transmission of multimedia files (uncompressed data). 4KB random read / write speeds are as high as 98,000/88,000 IOPS, with sequential read and write speeds of up to 560/500 MB/sec. In addition to these impressive numbers, the SP920 maintains consistently high read and write speeds even when the disk is 90% full. This is in contrast to some solid state drives that suffer performance degradation as the drive nears capacity. The range of capacities that the SP920 comes in is likely to excite enthusiasts and power users. The initial launch of 128 GB and 256 GB capacities will be followed by increases of 512GB and a massive 1 TB shortly after. The SP920 makes full use of the NAND flash chip capacity, resulting in a 7% increase in the usable space of the drive over many models currently on the market. For those looking to upgrade from a mechanical hard disk, the SP920 comes with a 2.5mm holder, allowing the drive to be used in both 7mm and 9.5mm bays. Purchasers of the SP920 will now have even more power at their fingertips with the recent release of ADATA’s proprietary SSD Toolbox software. SSD ToolBox provides multiple ways for users to obtain disk information, change settings, and improve SSD lifespan & performance. Combined with the known advantages of solid state and ADATA’s expertise in this area, the Premier Pro SP920 SSD is shaping up as an ideal SSD solution in terms of performance, data security, and stability. Genius’s introduced stylish new range of wireless products: HS – 920 BT bluetooth headset, Traveler 6000Z – sleek, which are ergonomically designed, intuitive control providing mouse, and Slimstar 8000ME – ultra slim, wireless keyboard/mouse combo. HS -920 BT Bluetooth headset: The headband headset connects with other bluetooth devices like your smart phones and tablets and lets you stream crisp and clear sound quality, anywhere. Adjusting the volume control and skipping tracks is a touch away and can be done directly from the headset. A built- in micro phone, lets you chat with your friends, while on the move. The HS-920 BT is available in five distinct colors: black, white, pink, blue, and yellow. Traveler 6000Z: The new wireless optical mouse from Genius is comfortable and gives you intuitive control over your laptop or PC. Sporting a 1000 dpi optical engine, the Traveler 6000Z, provides great cursor control for browsing documents or Internet pages. The contoured shape is suitable for either hand and the ergonomic design provides support and comfort you need for all-day use.To save on battery purchases, Traveler 6000Z is designed with only one AA battery and a power switch is added to extend the battery life. Slimstar 8000ME: This is a newly designed wireless keyboard/mouse combo that brings efficiency, simplicity and elegance to your lifestyle. The 2.4 GHz ensures anti-interference and greater operational distance. SlimStar features an ultra slim keyboard design, with innovative keycaps for great tactile feedback. In addition, a spill resistant design protects the keyboard from accidental spills. The wireless mouse has 1000 dpi optical tracking technology so you can navigate web pages or documents effortlessly, and the mouse is ergonomic designed to provide great working efficiency and performance. Fortinet unveiled three new high performance application delivery controllers (ADCs) for enterprise data centers and managed service providers that are designed to provide scalability and availability for Internet-based applications that reside in one or more datacenters. The FortiADC-1500D, FortiADC-2000D and FortiADC-4000D represent an expansion of Fortinet’s Application Delivery Controller lineup and promises to deliver high performance, rich features and strong security for high-volume application environments while reducing overall total cost of ownership (TCO). Unlike competing ADC manufacturers that require additional options for advanced port connectivity, these new units include up to 16 Gigabit Ethernet (GbE) ports and up to eight high-performance 10-Gigabit SFP+ Ethernet ports at no extra cost. Today’s FortiADC OS update includes two new features; IP Reputation and Virtual Domains (VDOMs) along with other enhancements, such as GUI improvements and detailed event logging. IP Reputation is a subscription-based service offered by FortiGuard Labs that allows a FortiADC to detect and block incoming traffic from known malicious sources. The extension of IP Reputation services to FortiADC products continues Fortinet’s strategy of creating high-performance and secure application delivery products. Combined with high-capacity SSL offloading and built-in firewalls, FortiADC offers additional security features not found in other ADC appliances at these price points. VDOMs allow managed service providers and large enterprises to provision and manage separate virtual ADCs using a single FortiADC appliance; a differentiating feature that is also found on the company’s FortiGate platform. The FortiADC-1500D, FortiADC-2000D, FortiADC-4000D and FortiADC OS 4.0 are available now. Genius recently organized a meet for dealers in the pink city of Jaipur. Attended by all leading channel partners of the city, the dealer meet was intended to attract new partners and consolidate its relationship with existing partners.The meet witnessed the unveiling of Genius’s exciting and innovative, range of products across three segments – Mobility, Gaming and Audio. Commenting on the occasion, Gaurav Mathur, Country Head (India), Genius, said, “It has always been Genius’s endeavor to understand the needs of its channel partners and maintain long term relationships with them. Jaipur represents a very crucial market for us and our objective was to demonstrate our commitment to the market and reiterate our status as the leading player with cutting edge, innovative, yet affordable products, with the unveiling of our new range of mobility, gaming and audio products. The response has been very encouraging and we look forward to developing our business manifold in the region”The event concluded on a high note with a lucky draw contest, with three winners winning exciting Genius products.